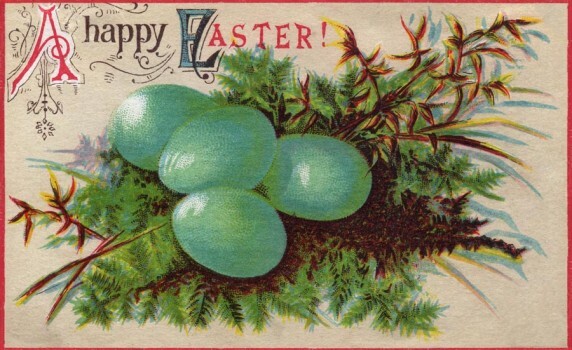 A pretty antique Happy Easter postcard with baby blue robin’s eggs. 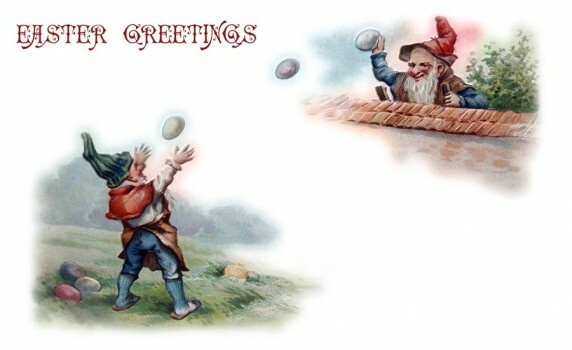 A whimsical vintage Easter postcard with elves playing catch with Easter eggs – so cute! 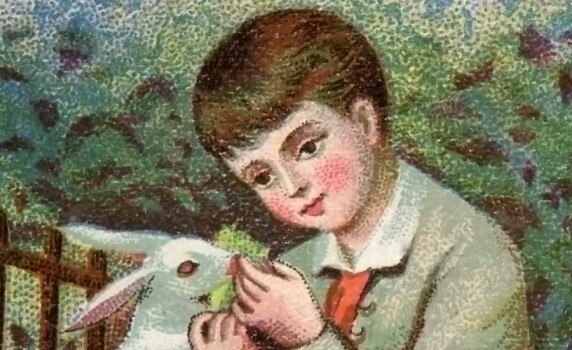 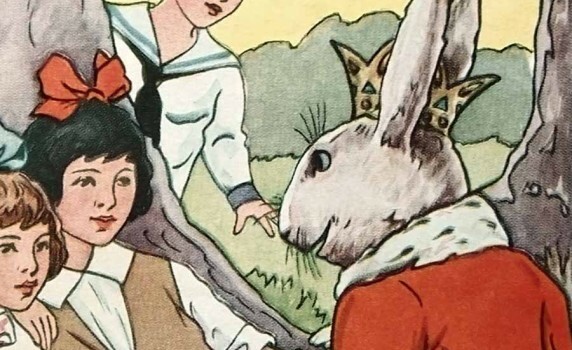 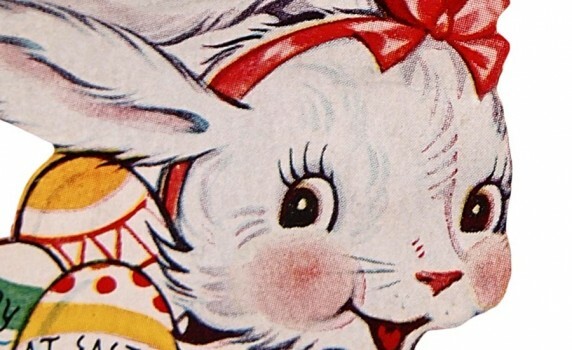 A cute and kitschy image of the Easter Bunny carrying a basket of eggs. 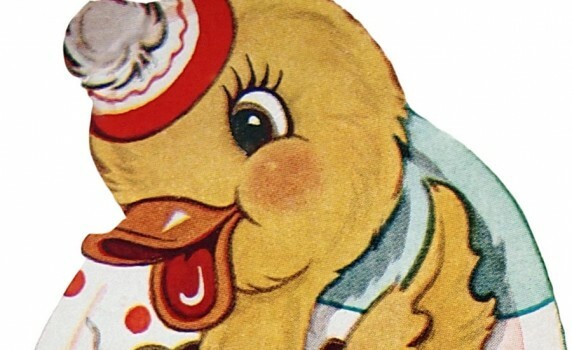 A super-cute retro baby duck in an Easter egg. 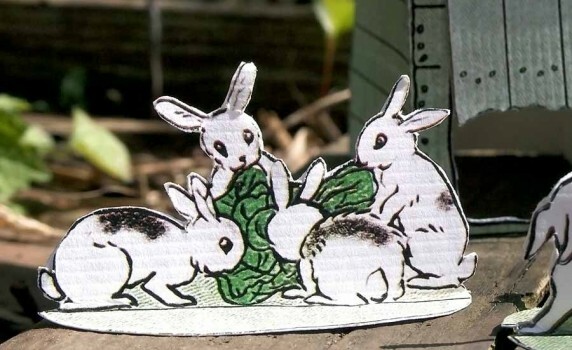 An adorable printable cut out paper toy set of Easter bunnies from 1914. 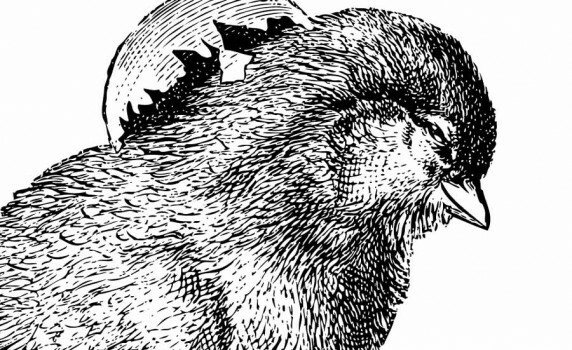 Here’s two different late 1800’s illustrations of chicks hatching out of their eggs. 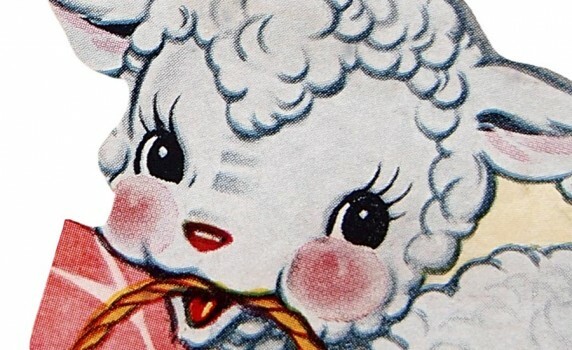 Here’s a super-sweet and retro Easter lamb picture from the 1940’s. 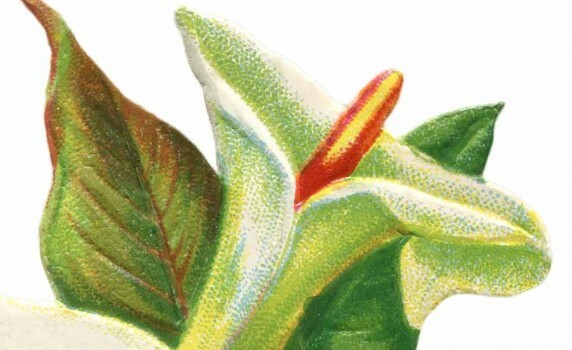 Here’s a gorgeous clip art image of a white Easter lily from the late 1800’s.